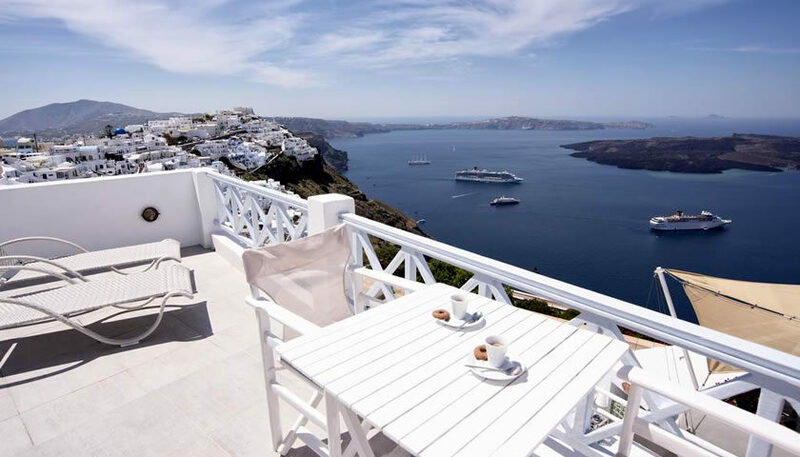 Nice rooms with balconies overlooking caldera and Fira. They are located in Firostefani, in a walking distance to Fira, but away from the crowds. There is an outdoor pool where you can swim while enjoying the view. 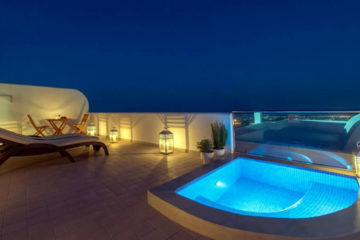 Specify the dates of your visit to Santorini to check availability and prices of Blue Dolphins Apartments.